We can service and repair all of your television products from the older CRT televisions through to Plasma, LCD, LED and Projection television. We can also service and repair video Projectors. If your television has a broken screen. If your television has a broken screen it will probably not be worth attempting a repair due to the very high cost of replacement screens which can easily be more than a new tv. 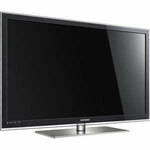 An example of a LCD/LED television with damaged screen. 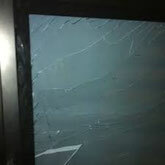 An example of a plasma television with damaged screen.